Does Poor Classroom Management Affect a Child's Behavior? Caffeine is the most widely used drug in the United States, explains Brigham Young University Idaho. Found in coffees, teas, energy drinks and chocolate, caffeine consumption is also very popular among student, both as a recreational supplement or as a study aid. This consumption can have a number of effects, both positive and negative, on students. One positive effect of caffeine on students is a temporary increase in alertness, allowing students to retain focus while they study. 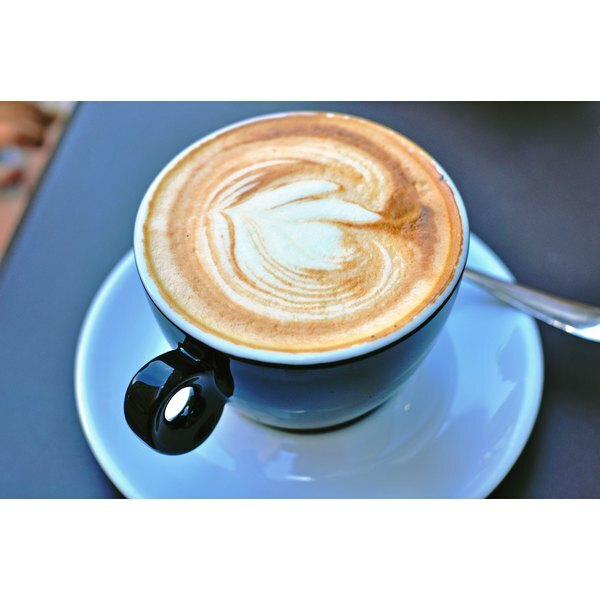 Caffeine works in your brian by blocking the function of a chemical called adenosine. Bristol University explains that adenosine in the brain acts as a depressant and induces drowsiness when it binds to receptors on brain cells. This binding induces drowsiness and fatigue, leading to a decrease in mental clarity. Since caffeine prevents the binding of adenosine to its receptor, caffeine intake increases a feeling of mental alertness. As a result, caffeine ingestion can provide a temporary boost to your study skills as a student. A negative effect of caffeine on students is that it promotes irregular sleeping patterns. If you have a class, work or study schedule that differs from day to day, you may already have a variable sleep schedule. Using caffeine as a study aid, especially in the afternoon or evening, can lead to harmful effects on your sleep cycle, reports the University of Colorado. Caffeine taken before bed can inhibit your ability to fall asleep, as well as diminish the quality of the sleep you do manage to get. To avoid this negative effect of caffeine, refrain from using caffeine during evening study sessions, and do not ingest caffeine within four to six hours of going to bed. Student may develop a caffeine addiction. If you regularly use caffeine as an alertness aid while doing homework or attending class, your body may develop a dependence on the drug. Brigham Young University Idaho explains that caffeine dependence can lead to withdrawal symptoms, including headaches, irritability, depression and an inability to think clearly, if you do not consume caffeine. You can help prevent caffeine dependence by limiting your intake to one cup of coffee a day, or by switching to decaffeinated coffee and beverages. Is B-12 Good for Sleep?